Please complete your profile with your Education, Employment, funding and works (publications) details. If you haven’t done this already, logon to ORCID (http://orcid.org/) with your credentials to complete the profile. When do I need to use my ORCID ID? Publishers may ask for your ORCID ID when you submit a manuscript, and the option to include your ORCID ID in your application is now available from major funding organizations. 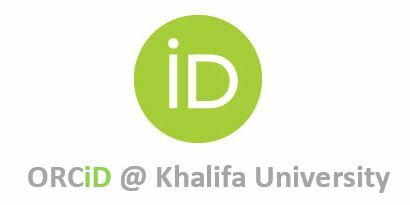 How does having an ORCID ID help Khalifa University? Will the University create an ORCID ID for me? No, you will need to register yourself. What makes ORCID different from other researcher IDs and profiles? It's being adopted worldwide by researchers, universities, funding organizations and publishers and can be integrated with institutional and publisher systems. 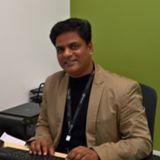 Who manages my ORCID profile? You do! You can choose the level of detail included, or designate a Trusted Individual to edit your profile on your behalf. You control the privacy settings and can set items to be visible only to everyone, trusted organizations, or only you. What happens if I leave Khalifa University? Your ORCID ID remains the same and travels with you. Update your email address in your profile settings. is a unique identifier for researchers. It allows research activities to be accurately attached to individuals over time, across institutions and across multiple information systems. For more details visit: What is ORCID? Once registered, you can import the papers from your Web of Science ResearcherID, Scopus Author ID, and Google Scholar and many other sources. There are several tools in ORCID that allow automatic importing of records relating to your research output from linked databases. To use the search and link functions, choose Search and Link from the 'Add Works' dropdown menu. You will be offered a choice of databases to link to. Choose the one that is most appropriate for your subject area and type of output. Login to your ORCID record. Click on "+Add works" and then "Search & link". Follow the on-screen prompts to send your papers to ORCID. Click "+Add works" and then "Import BibTeX"
Click "+Add works" under the Works section of your profile. Enter information manually to add papers to your profile.